Dover Youth to Youth appreciates donations to support the efforts of the 70 students working to reduce substance abuse in their community. 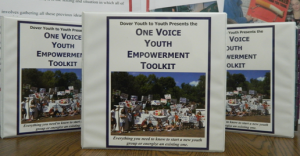 Dover Youth to Youth operates under the Dover Police Charities 501(c)3 nonprofit account. Any donations to support the program are tax deductible. You can donate by using the PayPay donate button below or by mailing a check made out to Dover Youth to Youth to 46 Locust Street Dover, NH 03820. If you have questions about your donation please contact Dana Mitchell at d.mitchell@dover.nh.gov or by calling 603.516.3274.